Trees well over a thousand years old, towering to heights of over a hundred feet , were common in the southeastern United States long ago. A mature cypress can swell to a diameter of 8 to 10 feet. Cypress is a slow growing tree and reaches its best development in tidewater swamplands. Typically, cypress thrives mainly along rivers and swampy areas where land is submerged most of the year. 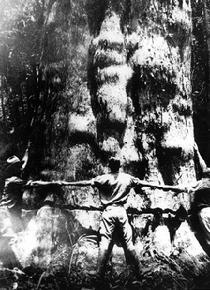 Widespread logging of cypress trees in Florida took place in the 1800’s. The relative "flatness" of Florida meant that rivers were slow-moving and therefore advantageous for transporting the massive logs. However, records from the 1880’s indicate that when loggers tried to float the logs without rafting them, 40% of the logs would sink to the bottom of the river. After millions of feet of perfectly good wood was lost seemingly forever, companies developed rafting methods. 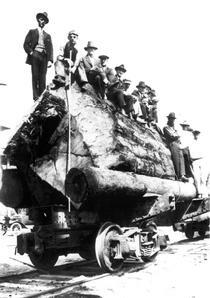 Nevertheless, attempts to raise sunken logs were not successful back then. 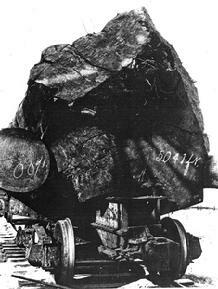 With the assistance of modern technology, these logs can now be raised, cured, and sawn into lumber. 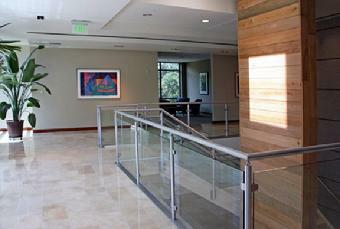 The feature walls in the main lobby and the break room are clad in this reclaimed cypress lumber. The particular log that was used in this project is estimated to be between 1500 and 2000 years old. It sank in the 1880’s along the Suwannee River and was raised in the year 2000. Its use as an indigenous material establishes an important historical connection to this region and site.